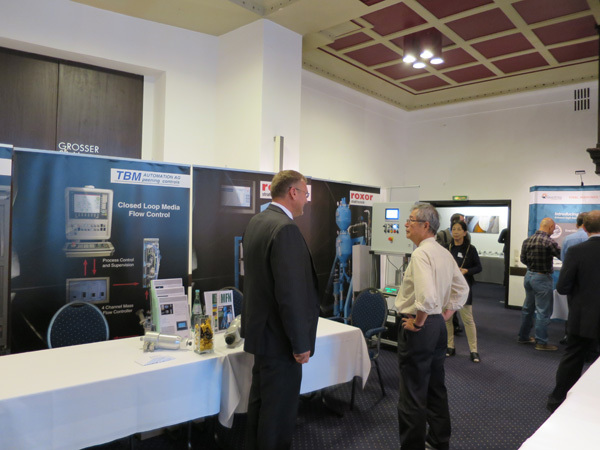 The TBM Automation AG delighted about a lively interest on the ICSP-12, the most important international conference on shot peening from September 15th to 18th 2014 in Goslar, Germany. Especially the new media dosing with high-precision control of the shot peening medium was a real crowd magnet. 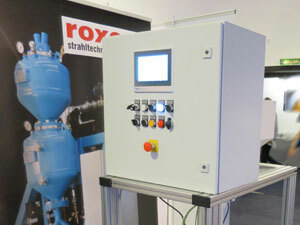 The system was jointly developed with the Roxor Maschinen AG. 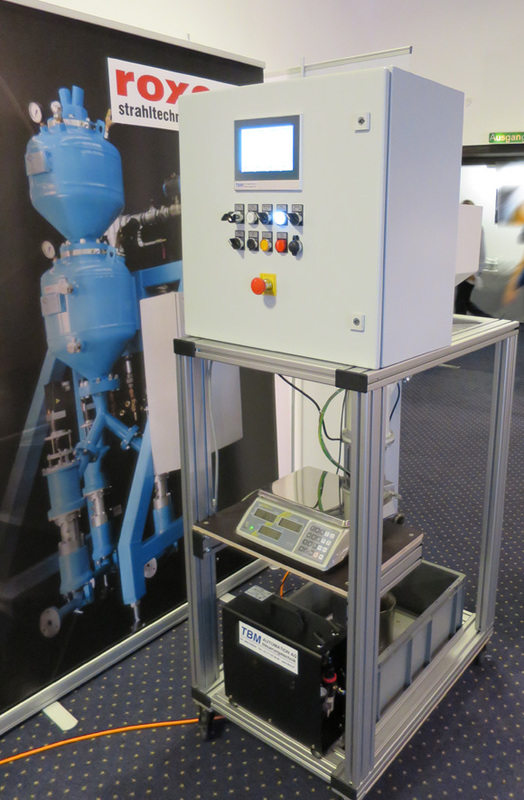 The newly developed TBM 901.x controller can control up to four nozzles simultaneously, and manage up to 4 different blasting media per nozzle. The dosage is designed for a wide flow range. Thus, for example amounts of 0.5 to 14 kg/min or 0.1 to 1.4 kg/min to be controlled with an accuracy of less than +/- 3% over the entire range. The device meets the automotive and aerospace-standard SAE AMS2432c. The conference participants were able to see the accuracy "live" on the testbench. The controller is also suitable as a replacement (retrofit) of existing, obsolete media flow controllers such as ASCON AC20 or Relamatik. This means that up to 4 pcs. Relamatik controllers or 2 pcs. Ascon AC20 can be replaced by one TBM 901.4 unit. The visitors were equally interested in the fully automatic Roxor media calibration with TBM control. Hereby the professional visitors were amazed by the innovative unmanned calibration of the shot peening media. So the downtime of shot peening and blasting machines can be substantially reduced. The concept, to present latest shot peening technology to high-caliber professionals together with our long-term partner company Roxor Maschinen AG, was a great success. So we were able to welcome participants from leading universities and companies from the aerospace and automotive industry at our booth. After the guests could get a picture from the state of the art in shot peening, the TU Clausthal offered a well-organized social program as a good opportunity to refresh and for Smalltalk. 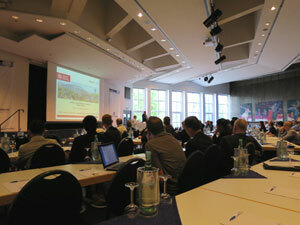 The ICSP-12 was a great success in general. 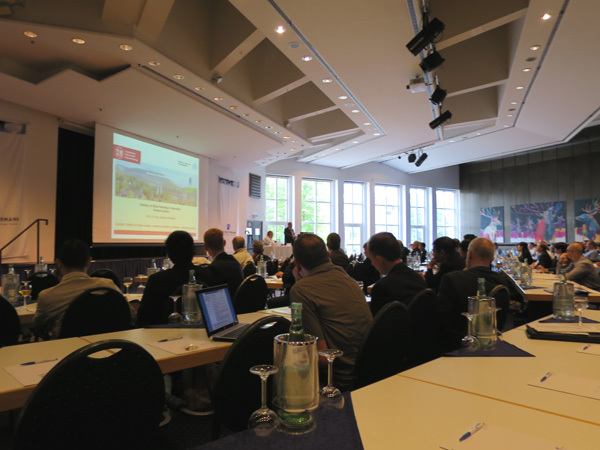 More than 200 conference participants could experience exciting scientific lectures, and learn as well about the latest developments in shot peening practice. Please click on the images to enlarge!